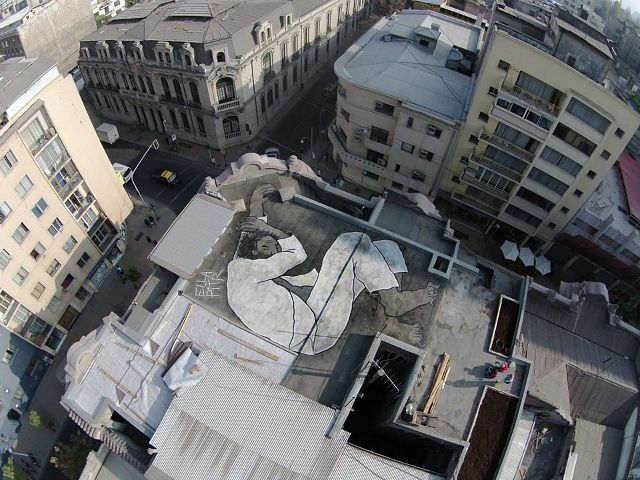 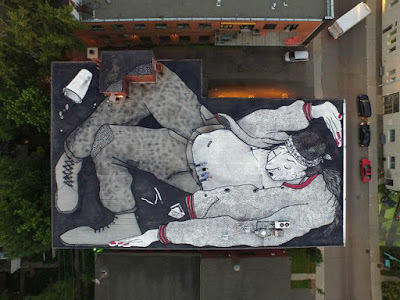 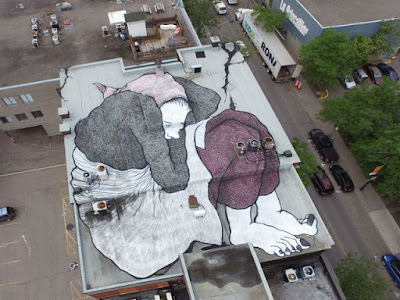 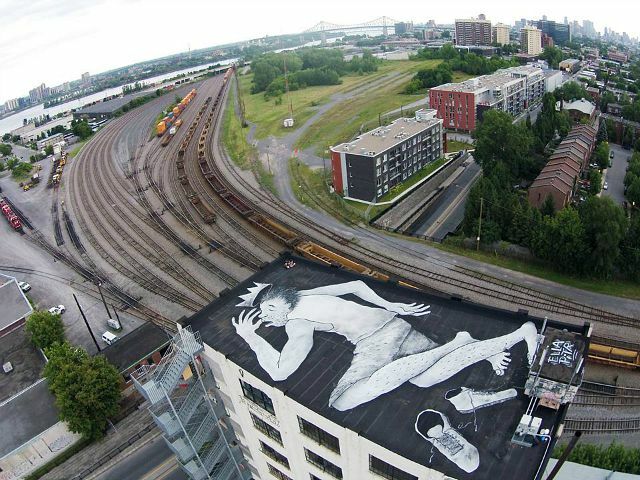 Artists create large murals of sleeping figures on the roofs of buildings. 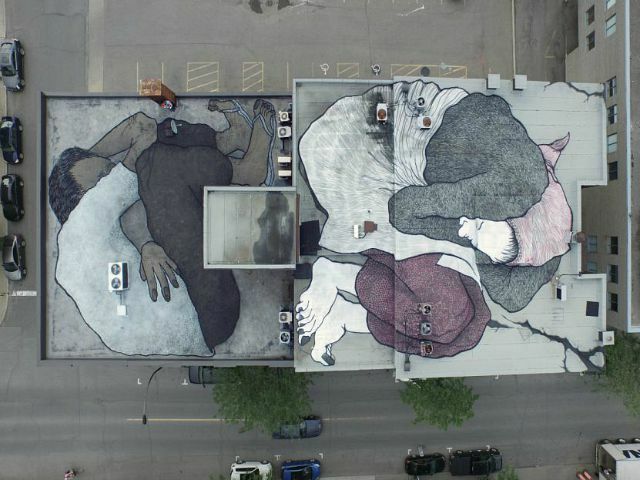 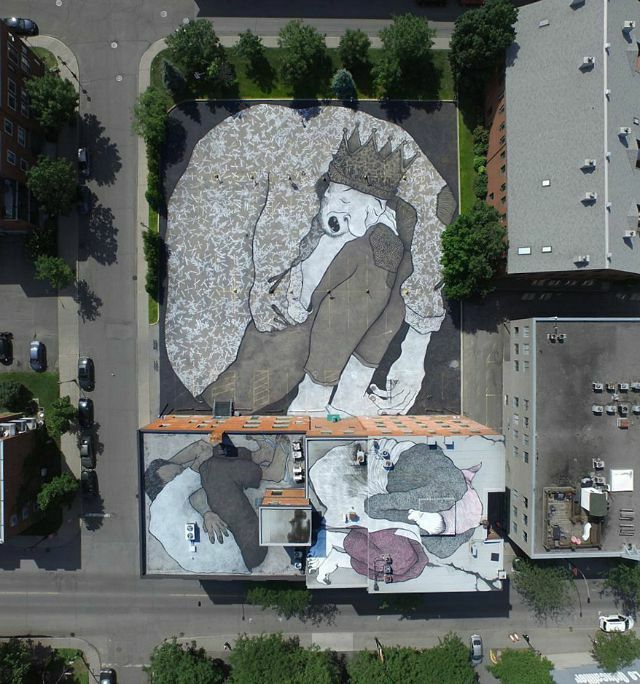 French street art duo Ella & Pitr create impressive large-scale murals on the roofs of buildings that can only be seen from the air thanks to the photography taken by a drone. 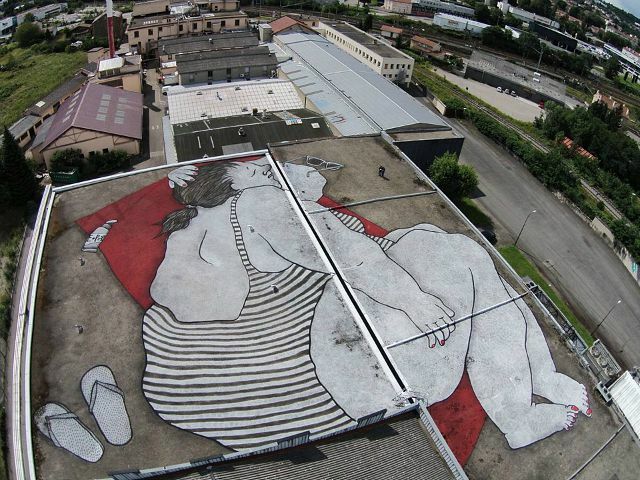 They paint huge characters, sleeping giants, imprisoned between the limits of the unusual rooftop canvases. Martyn Reed, founder and CEO of NuArt Festival said of their work, "Much like their street work, the impeccably drafted characters that inhabit these canvasses can barely be contained within the frame, bursting with life and love and purpose, turn your back for a moment and they will undoubtedly free themselves from the limits imposed by the artists and animatedly take their leave through the nearest exit"